The bent bookmakers are expanding their con to other products as they are sending me at least a crooked email, text message nearly every day. Maybe they see having stuff written about them as good. You know the old saying ”…that it is better that people talk about you, than not talk about you…”! This phrase is only as good as the experience you receive and as you know they are bottom of the league in my book when it comes to customer relations. Therefore, waste their time and not bet as their are other bookmakers who will not rip you off. So while you are looking for a classy bookmaker listen to the wonderful Groucho Marx in a classic recording of ‘You Bet Your Life’. 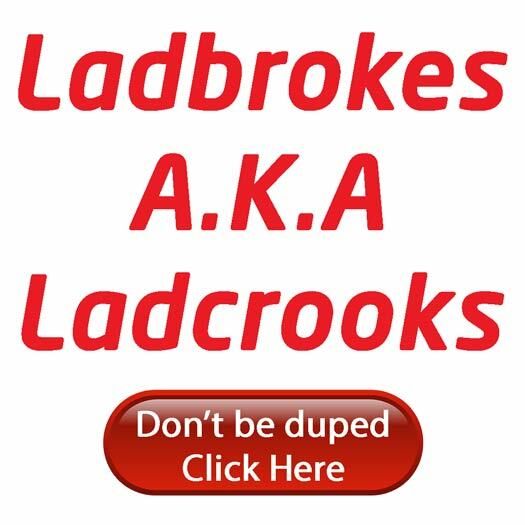 PokerKnave's Blog betting, bookmaker, casino, con, gambling, Groucho Marx, Ladbrokes, ladcrooks, online poker, scam, sport, You Bet Your Life. permalink.